This entry was posted in News on February 27, 2018 by Liberation. 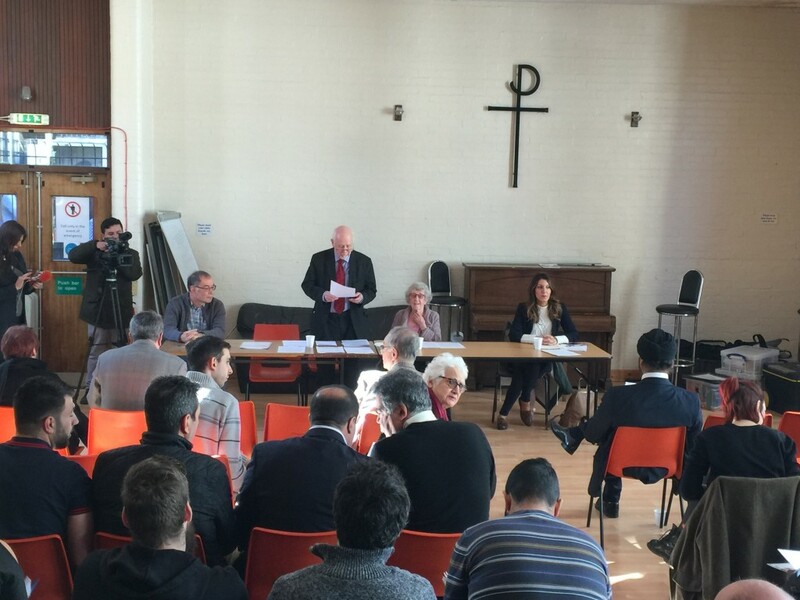 This year’s Annual General Meeting of Liberation was held on the 24th of February at St. Pancras Church Hall in Euston, London. The main theme of the meeting was For Global Peace. The importance of working for and contributing towards the achievement of global peace is highly recognised foremost by National and International NGOs and Advocacy organisations worldwide. As international conflicts continue, the need for campaigning for peace, social justice, equality and human rights are greater than ever. 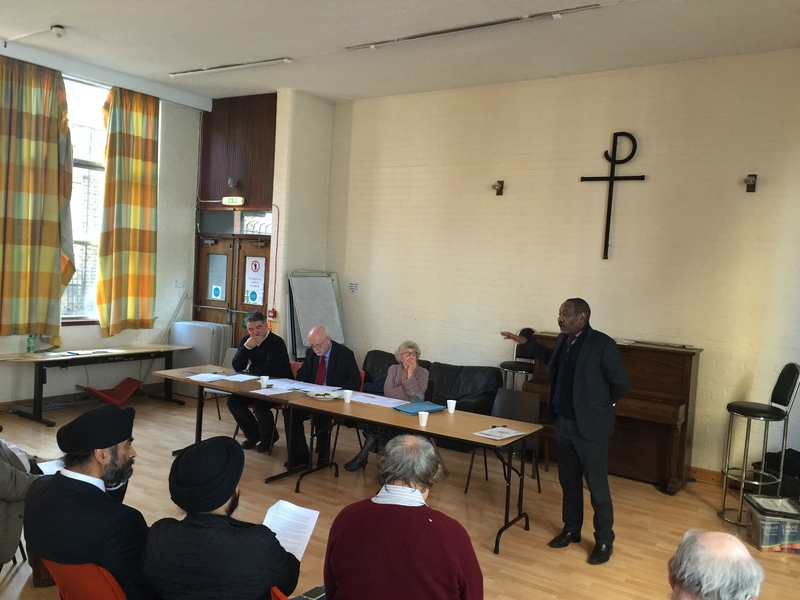 As an organisation working on peace, economic justice, human rights, and international solidarity primarily through MPs and the UN Human Rights Council, it was once again emphasised, that Liberation needs to expand its work to meet this challenge. As in previous years, we asked our partner organisations and supporters to contribute to issues relating to their country and advise how to plan our work and demands for the year. 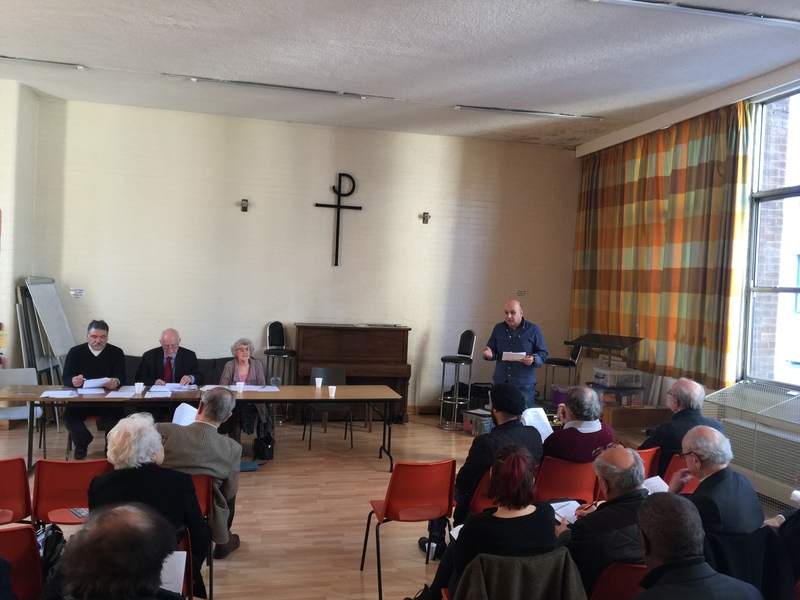 President Stan Newens and Kelvin Hopkins, MP and Chair of Liberation welcomed those present, and thanked speakers for their contribution to address the AGM. 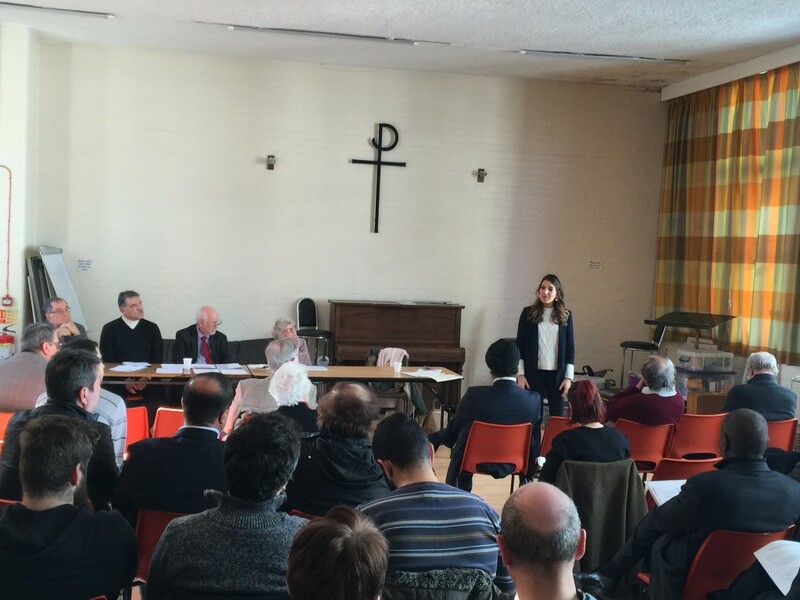 Rosena began her talk on Rohingya refugee crisis, particularly on refugee camps in Bangladesh. She accounted for the devastating situation of these refugees – orphans, widows and elderly – who fled guns and fire from Myanmar to neighbouring Bangladesh. The Rohingya refugees face daily struggle for lack of food, water and shelter. She talked about her plans of travelling to Bangladesh to visit those camps and reporting back to the Parliament which she hopes will be translated into immediate actionable plan for immediate humanitarian assistance. 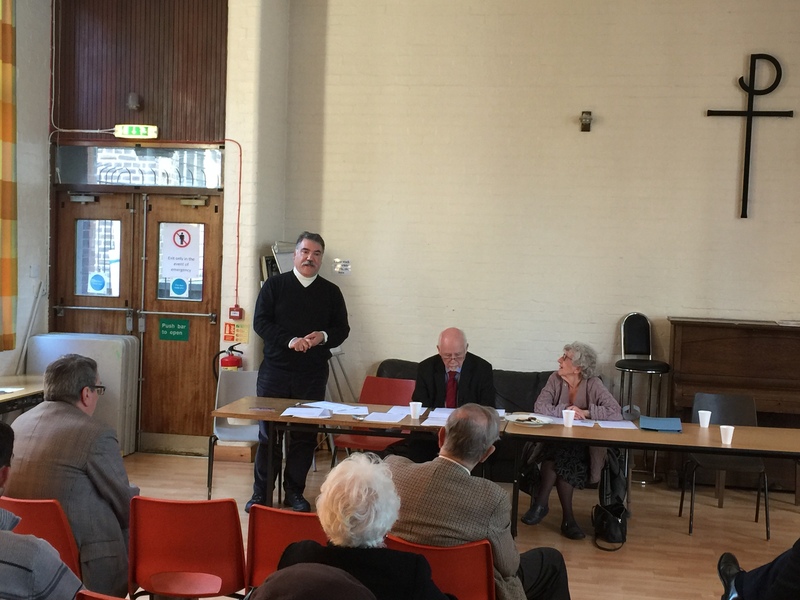 Paul addressed the AGM by emphasising the financial donation made by the UK in response to the refugees crisis and its relatively positive impact on the overall situation. He talked about the importance of building international consensus on steps needed to be undertaken by the government of Myanmar to bring situation under control. Christine gave a brief account of her recent (January 2018) fact-finding mission of teachers and HR in Mexico to access the impact of the Educational Reform. She then talked about the part of the mission for the delegation which also explored the state of human rights in Mexico, particularly in the context of the 43 students from Aytozinapa who forcibly disappeared in 2014. The delegation (which also included a representative of Justice Mexico Now and member of Liberation) expressed concern on the recently approved Law of Internal Security, which is feared to be targeted at teachers’ and students’ right to protest. She noted that the NEU understands that this law is opposed by the UN and the Mexican National Commission for Human Rights, among other educational and social bodies, and expressed the Union’s concern for the impact it may have on educationalists and unions in Mexico. Ararat presented the Liberation resolution on Solidarity with the Iranian people noting with concern: Iran’s theocratic government’s continued abuse of democratic rights; non-recognition of the terms of the Universal Declaration of Human Rights and ILO conventions; the continued economic and social crisis; reports of torture and maltreatment of people arrested following recent street unrests throughout Iran. He also talked about the importance of understanding the Iranian people’s deep-seated belief of rejection of any outside intervention in the internal affairs of Iran under any pretext, based on their own history and their experience of recent tragedies in the Middle East, and believe that the future of Iran should be decided only be the Iranian people themselves. It was also noted that Liberation is totally opposed to the use of threat of military attacks or the imposition of economic sanctions on Iran. Liberation believes that all disputes in the Middle East should be resolved in accordance with international law, the UN Charter and through diplomatic channels and negotiations. Liberation believes that that realisation of the demands of ordinary people for peace, progress and social justice is the best guarantee for Iran’s independence and for genuine popular sovereignty. 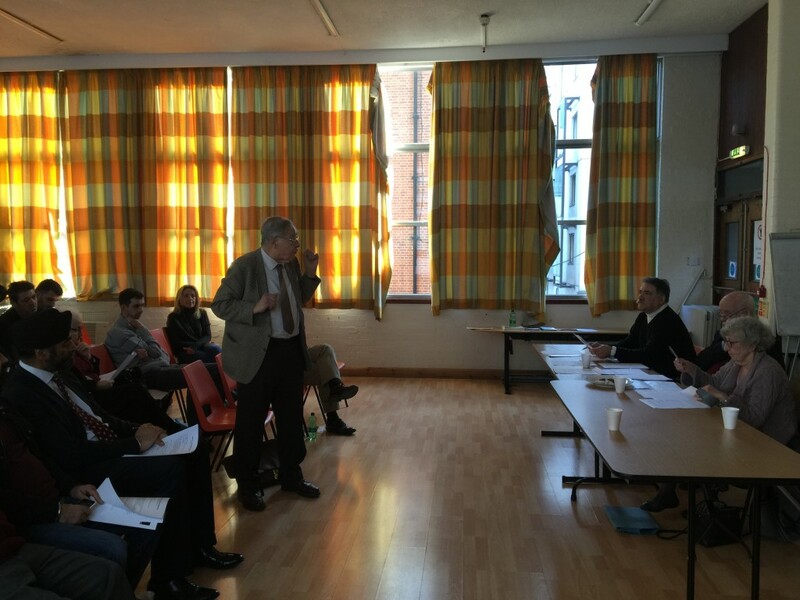 Stan commented on Iran resolution in favour of its content and briefly recalled his years as MP and MEP working on the Human Rights in Iran. Ihsan expressed his organisation’s deep concern about the current situation of the people of Afrin, who have been subjected to Turkish government’s aggression. He noted that Afrin has been one of the more stable parts of Syria, and like other parts of Rojava, it is run democratically and peacefully with an emphasis on religious and ethnic pluralism; Pointing out that the recent actions have worsened the prospects for peace in Syria and the wider Middle East. The resolution condemned the use of violence by Turkish army on the people of Afrin and the Kurdish forces in Syria, and asked the conference to support calls on the government, as a matter of urgency, to press the importance of respect for fundamental Human Rights and rule of international law. Abdel Malik gave his report on Human Rights situation in Sudan and expressed his deep concern about the continued and worsening violation of Human Rights by the government of Sudan. The government violations include: the use of extensive force against the peaceful street demonstrators calling for the lack of freedom of expression, freedom of association in particular Trade Unions, freedom of press, food and decent living. The resolution called upon Liberation to support the demand that upon the Government of Sudan stop harassing and intimidating Sudanese citizens including Human Rights Defenders, peaceful activists, journalists, and all others who seek to exercise their rights to freedom of expression, association, and assembly including freedom of the media. 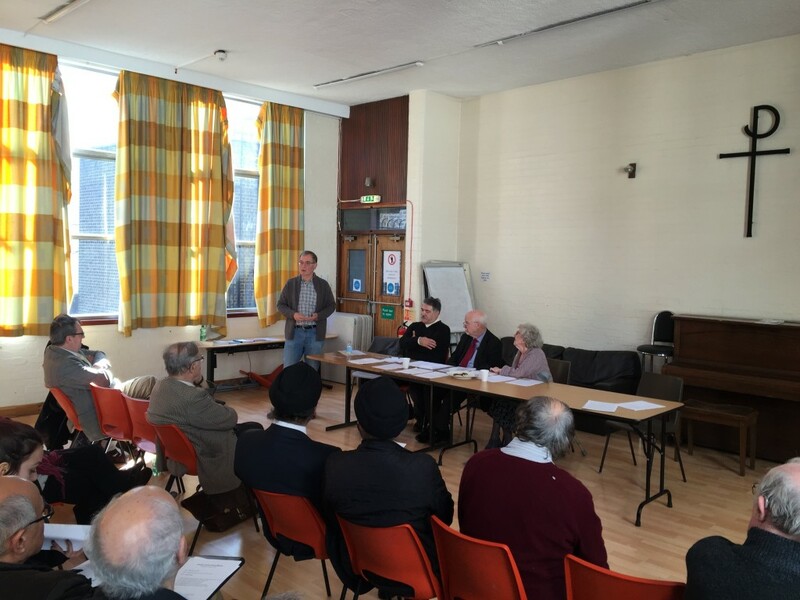 Former chair of Liberation and leader of the Labour Party, Jeremy Corbyn, paid a surprise visit to the AGM. 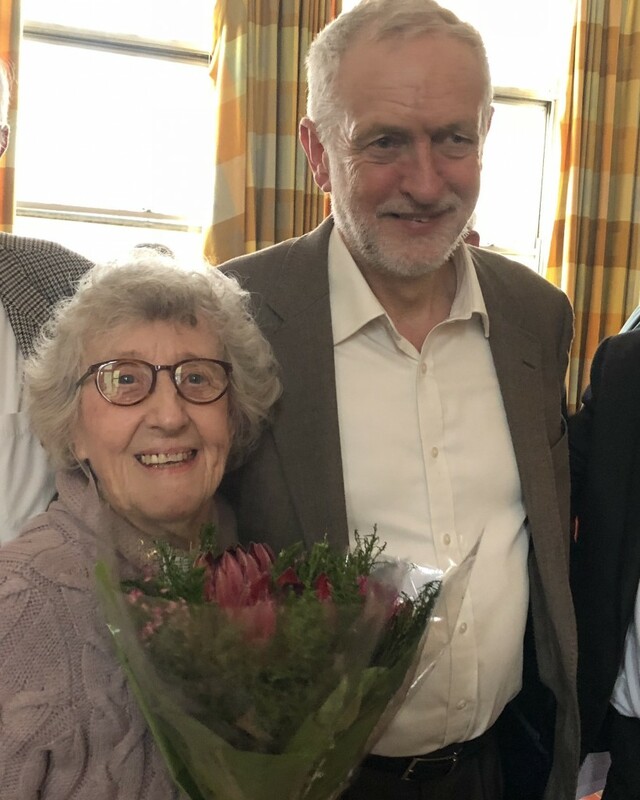 He thanked Maggie Bowden, the General Secretary, for her tireless work and dedication and expressed he was proud to have someone like her to lead the Organisation dedicated to its declared ideals. Resolutions were preceded to questions and discussions followed by members’ motions. Afterwards, the AGM moved to internal organisational phase of the Conference: Chair’s report, nominations for Central Council, UN activities of Liberation, and finance. 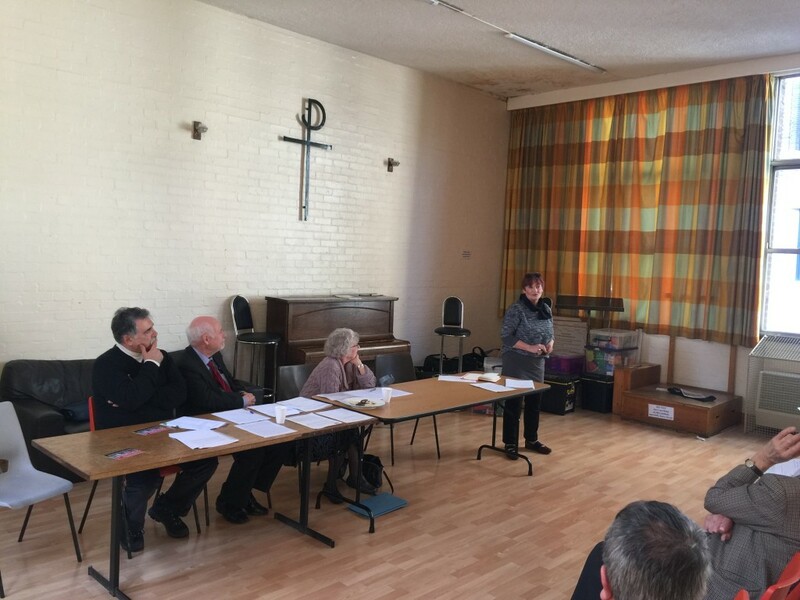 The AGM was then formally closed.